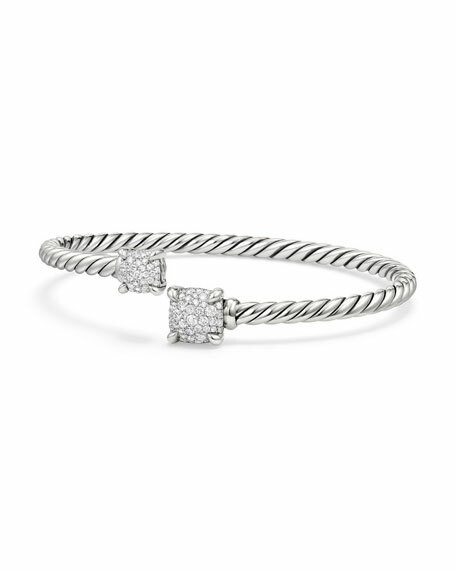 David Yurman bypass bracelet from the Châtelaine Collection. Prong-set cushion-shaped pavé diamond ends. 0.622 total diamond carat weight. 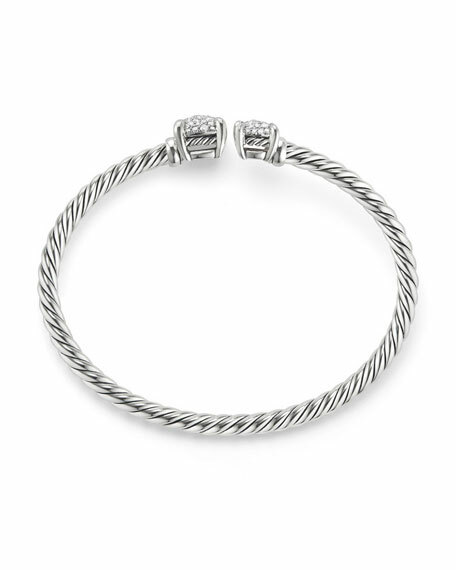 David Yurman bracelet from the Ch? ?telaine Collection. Twisted sterling silver bypass cuff. Faceted 18-karat gold domes, 7 and 9mm. Diamond four-prong settings. 0.077 total diamond carat weight. Slip-on style.